Here's an interesting case of vitamin deficiency you should read. Biotin deficiency is rare. Nice to know for exams though. Soooo.. I made a mnemonic. 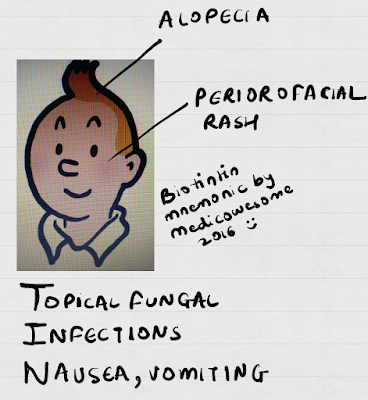 Biotin reminds me of the comic character, Tin Tin!